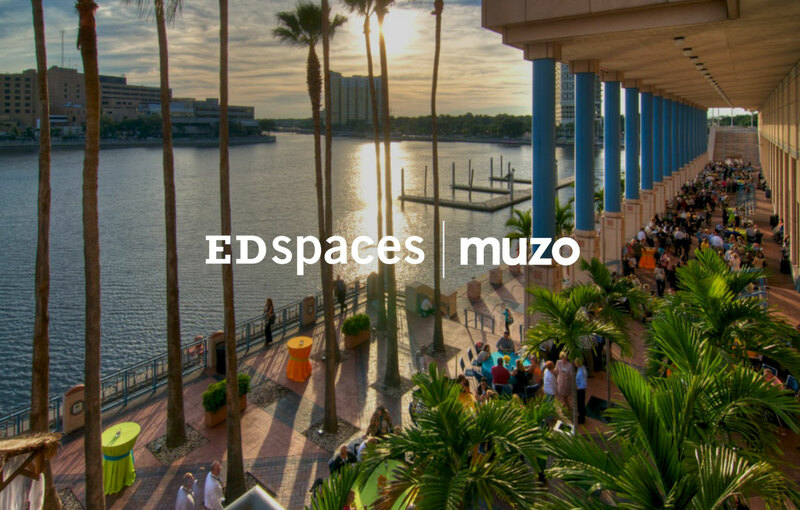 Muzo are excited to announce that as well as exhibiting our diverse range of education solutions at this years EDspaces event, we will also be producing and running the after show party. When it comes to music and entertainment our reputation has proceeded us once again. Our team has put together a music ‘festival’ concept party featuring exciting up and coming musicians taking the stage in celebration of what will no doubt be a fantastic week at the Tampa convention center. EDspaces is the conference advancing the conversation about the future of learning environments. It is where innovations are unveiled and collaborations form, bringing together education’s creative change agents who plan, design and manage innovative learning spaces. Leaders from school districts and colleges, architects, interior designers, distributors and exhibitors will engage and participate in the ongoing transformation of educational environments in Tampa, Florida, November 7-9, 2018. We will be at booth number 440.